Senator Mitch McConnell said about you today: "The gender card alone isn't enough." How do you respond to an attack like that? Clinton is an obvious proponent of women's rights in a growing field of presidential candidates, the majority of whom are Republicans. This isn't the first time that Clinton has been accused of using the "gender card" — and there's no way it will be the last. McConnell, the top Republican in the Senate, made the "gender card" statements during a speech on Monday in his home state of Kentucky. He said, "I don't think arguing 'vote for me because I'm a woman' is enough. ... The gender card alone is not enough." And back in April, Carly Fiorina, who hadn't yet announced her candidacy, hinted that she would run for president with the goal of keeping Clinton from playing the gender card. I think if Hillary Clinton were to face a female nominee, there are a whole set of things that she won't be able to talk about. She won't be able to talk about being the first woman president. She won't be able to talk about a war on women without being challenged. She won't be able to play the gender card. At the time, Fiorina seemed like a promising sign for Republican women. In fact, she seemed to be the woman that Sarah Palin probably should have been in 2008, and Fiorina vowed to bring a female perspective to the race on all issues. Yet, instead, she attacked Clinton and played the "playing the gender card" card, which is ridiculous for a woman to do. Although Fiorina has remained relatively quiet in recent weeks, her statement and Monday's attack from McConnell shows that there's more than one Republican bringing up gender in an attempt to discredit Clinton. 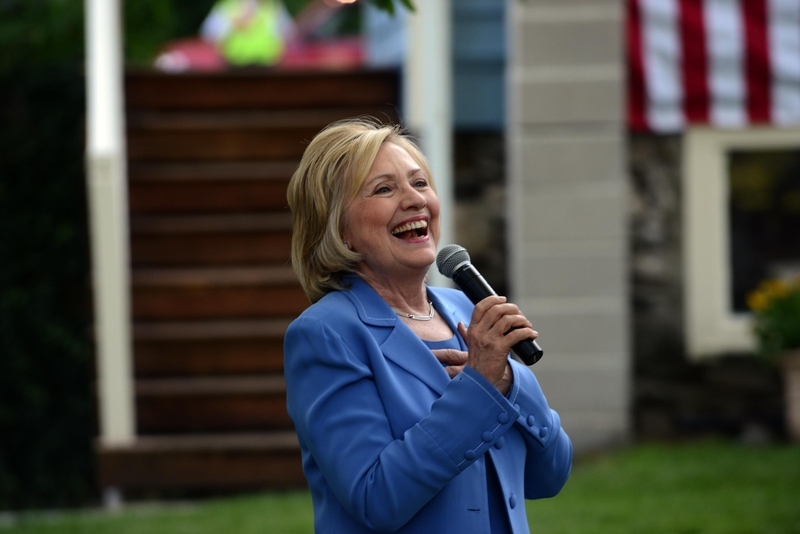 When it comes to women's rights, Clinton's priority seems to be leveling the playing field. She has famously said, "Human rights are women's rights and women's rights are human rights," and she handled Monday's attack with the same solidarity. The gender card probably won't disappear from political debate any time soon, but Clinton's feminist responses to such asinine statements give us hope the debate will soon head in the right direction.